What Your Birth Month January Says About You? 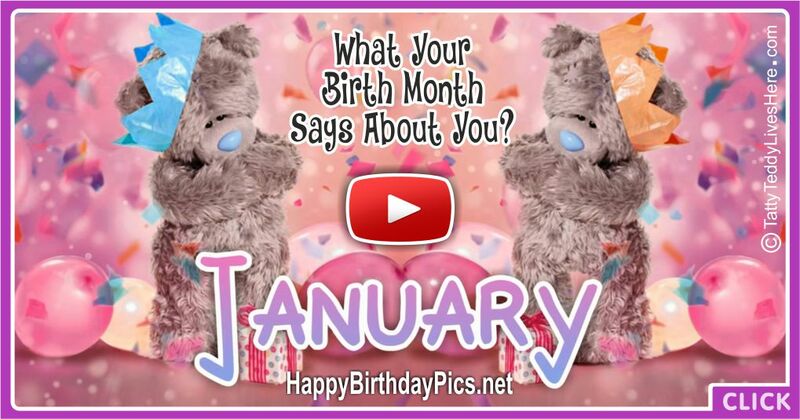 Happy Birthday January Babby, I wish you a joyful and happy birthday, on the “What Your Birth Month January Says About You?” video. This January Birthday video consist of a short (2 minutes) cute animation made for you to share easily with your friends who have a birthday on January. Apart from congratulating their January birthday, you can also share this video for personality analysis of friends who born in January. Your birthstone is garnet, which represents purity, truth and friendship. January’s flower is the snowdrop, which shows people enjoy your company. January is creativity month. This means you like to try new things. You love to chat and make new friends. You are easily hurt, but you recover quickly. You are brave and unpredictable. January also is a month of extremes. It is the coldest month in the northern hemisphere, and the hottest month in the southern hemisphere. This shows there are two sides to you. You share January with some big celeb names: Elvis Presley, Justin Timberlake, Betty White, and Bradley Cooper. You are extremly smart and funny. January is a great month to be born. Happy Birthday January Baby! — Now, let’s watch the “What Your Birth Month January Says About You?” video. 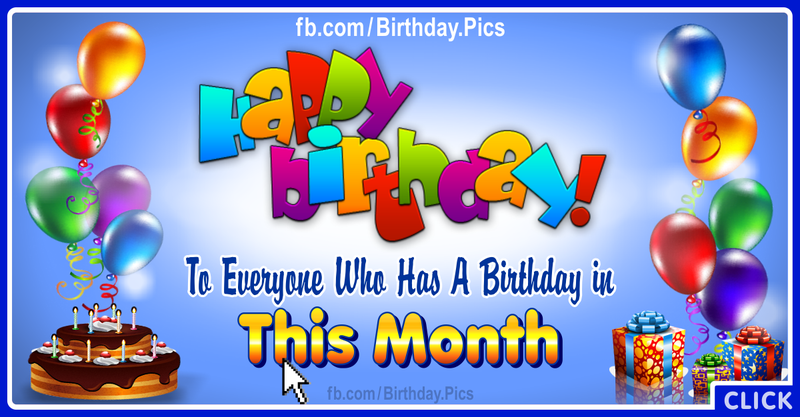 Click HERE for the other Birth Month cards and videos. © NOTE: All property and copyrights of the materials belong to their respective owners, and no copyright infringement is intended. We fetch the video from “Tatty Teddy” channel on Youtube (belongs to TattyTeddyLivesHere.com website), along with its own ads on it. The copyrights of the video and the music, belong to their respective owners. The use of the video here via the given embed codes is not done with the intent of copyright infringement. This greeting picture or video, "What Your Birth Month January Says About You? ", takes place in these categories: Birth Month. You can click on the category names to find some similar pictures, elegant greeting cards or videos. This website offers you assorted birthday cards in bulk, birthday cards with name edit, quotes, and the best e-cards like "What Your Birth Month January Says About You?". You can also find various gifts on this site, for birthday and other special occasions; for example, precious jewel, gem, and gold jewelries, fashionable shoes, heels, tote bags and clothes, trendy furnishings and decoration accessories, beauty and anti-aging products, car accessories, etc for What Your Birth Month January Says About You?. Using the "How To Share" button above, you can learn how to share this "What Your Birth Month January Says About You?" page, on Facebook.